Jay Leno isn't a major Ferrari fan, even going as far as taking a Lamborghini over one in the past. But in this episode of Jay Leno's garage, he reveals his soft spot for the 275 GTB/4. This Ferrari was one of his dream cars from his teen years. Thanks to David Lee, a watch dealer and the car's owner, Leno gets that chance. Sometimes your heroes meet their heroes. Throughout the video, Leno gushes about the car. From the 3.3-liter V12 engine, to the graceful body work, he doesn't have a single negative word about it. Leno's praise also centers on the simplicity and purpose of this particular machine. It has plain and simple gauges, the only comfort feature is power windows, and it has a classic gated manual transmission. Leno also highlights how the car doesn't compromise its design; The only purpose of the styling is to please the eye. So check out the video above to see Leno fall in love with this red Ferrari. 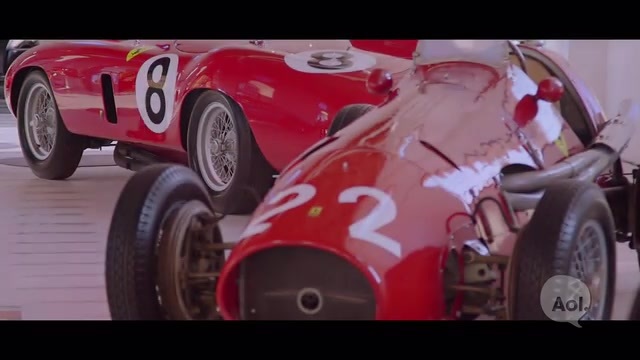 It's worth watching just to hear the V12 breathe deeply through its six carburetors.